Again I’ve been looking through some older pictures to see if there is anything I can do with them. 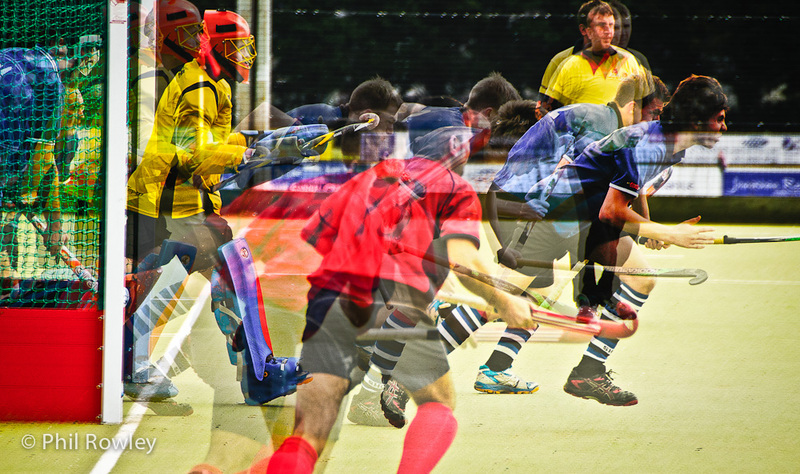 I took some photos as part of my BTEC at a local hockey match. At one point, I took multiple shots of the players running out from the goal when it was a corner. These looked ok on their own at the time, but looking at them again I wanted to try and create more of an action feel. So I overlaid three of the the pictures, and fiddled around a bit with the opacity etc. The one problem I had was that ideally the camera should have been on a tripod so that the goal and lines were exactly in the same place. It nearly works!